You may think that copying interesting or successful (or both) ideas from your competitors won't pan out in the end, but Instagram is a living example to the contrary. The Facebook-owned photo-focused social network has aped every Snapchat feature it was able to in the past year or so, and it's paid off. Bigtime. Instagram now has 700 million users, 100 million more than it did last December. So those last 100 million users were added in just four months. That number is amazingly almost equivalent to Snapchat's entire 161 million user base. The recent growth is the fastest in Instagram's history. Going from 500 million to 600 million took five months in 2016. 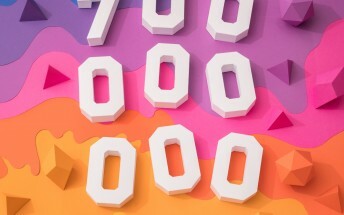 Of course Instagram is nowhere near Facebook's numbers, but its niche focus explains that. The big blue social network boasts more than 1.8 billion users. Facebook-owned WhatsApp and Messenger both hit 1.2 billion recently, and it really looks like Facebook the company has officially won at the social thing - in part simply because it has so many different offerings in this space.